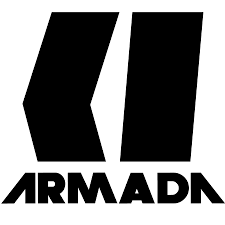 Armada was founded in 2002 by a group of professional skiers and the ski and snowboard photographer Chris O'Connell, with backing from British venture capitalists. Its founding team of owner-riders consisted of Tanner Hall, the late JP Auclair, JF Cusson, Julien Regnier, and Boyd Easley. Armada skis are designed mainly for freeride and freeride touring and to for backcoutry skiing.